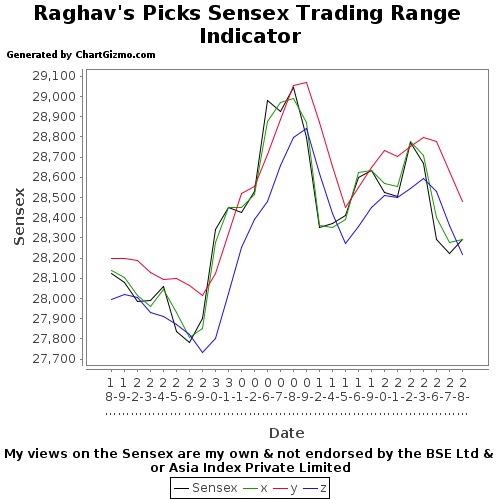 The Sensex is currently poised at supports. 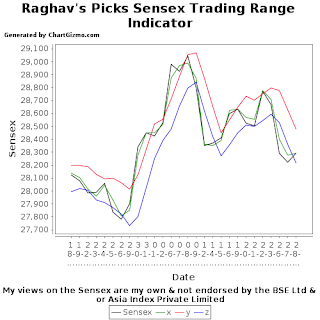 Hence the chances of a decent rally are higher than the Sensex falling further. Initiate longs at the current levels with a closing S/L at 28119. Targets will be updated.